Weekly visit a grandparent you are assigned, either at Cove Point Assisted Living, Provo Rehabilitation & Nursing, or Lake Ridge Retirement Center. Fill out the following form and you will be contacted by the directors. If you have any questions, email or call directors. Independent living, assisted living, and respite services. This is an independent and assisted living home for seniors where the Recreational Therapists provide activities and therapy for those living there. Call Luann to arrange volunteering. Mesa Vista provides extended-stay nursing care to seniors with varying levels of disabilities in Orem, UT. Call Klorisa to arrange volunteering. There will be forms to fill out and a brief orientation. You can volunteer any time. On Fridays they go on outings. Care centers for adults and children. As a Recreational Therapy student. These types of volunteers are treated as interns. Have Ashley Bowen (BYU's Internship Coordinator - tr_internships@byu.edu) contact Hailey to pass over BYU Insurance information, etc.. You will need to go there to fill out forms. By doing it this way you bypass a detailed and long background check. As a normal volunteer. Complete an online application before October 1st. They will call to schedule an interview and to schedule your volunteering shift. Call Heidi to arrange volunteering and you will be required to fill out some forms when you get there. 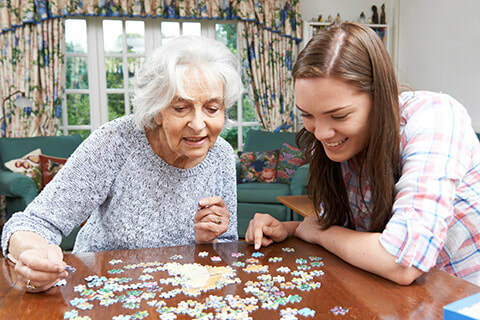 Visit with residents, facilitate recreational activities and play board games with residents. There is a 15 minute orientation at the facility. Provides long term acute care for patients recovering from illness.